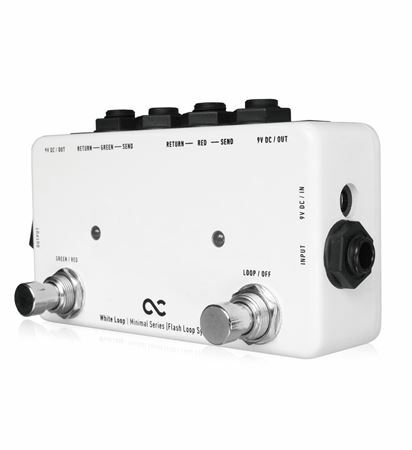 Shop One Control White Loop 2 Channel Effects Loop Pedal from AMS and enjoy Fast & Free Shipping. The White Loop allows guitarists to quickly toggle between two loops or bypass both. 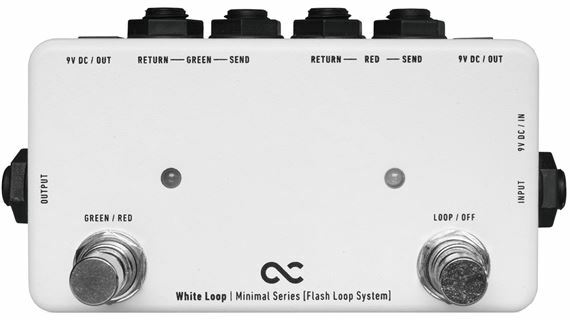 The White Loop is a two loop true bypass looper. What separates the White Loop from many other similar products is the flash loop function. The White Loop has a green and red loop. One switch toggles between these two loops. The second switch bypasses both loops. In addition to doing loop switching the White Loop can also do basic amp channel switching when you aren't using the loops. Simply run an instrument cable from the send or return of the white loop, depending on what amp you are using, and insert the cable into the amps foot-switch input. The White Loop can also be used as an AB switch with a mute function. Simply plug one amp into RED Ch. SEND and the other amp into GREEN Ch. send at the left switch with toggle between both amps. 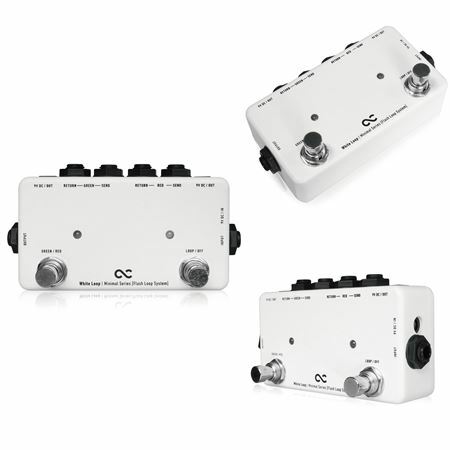 If you attach nothing to the output then the LOOP/OFF switch, then it will simply act as mute if you connect a tuner to the output so while muting you have the ability to tune your guitar and the tuner will be out of the way of your signal chain. Allows guitarists to quickly toggle between two loops or bypass both. Left footswitch toggles between the two (Red & Green) loops. The White Loop can be used without DC power; however the LEDs will not function. I have it in front of my amp to switch between overdrive. No lag time at all and it's really quiet between switching. I'm thinking about getting another one to set up some patches in my effects loop. Very nice!